We are pleased to announce the addition of Botox and Juvederm dermal fillers as services available in their two dental practices, Ahwatukee Family Dental and Fulton Ranch Dental. These procedures can be performed by Dr. Cory Rush in our centrally located dental offices over your lunch break or during your regular six month dental exam and teeth cleaning appointments. We make it easy for our patients to look and feel their very best. If you’re interested in learning more about Botox, Juvederm, cosmetic dentistry, or any of our other dental treatment options, call to schedule your cosmetic consultation appointment today. Botox has been used for years to help combat painful muscle spasms and inflammation. Botox Cosmetic utilizes this muscle movement control to prevent and diminish the appearance of fine lines and wrinkles. Over the years, the purposeful and unconscious movements of facial muscles crease the skin. Where Botox is traditionally used to diminish the appearance of fine lines around the eyes, Juvederm tackles the tricky, deep-set parenthesis (laugh) lines. As we age, collagen and elastin are produced more slowly, and we’ll begin to see areas where our skin sags or doesn’t look as full as it used to. Juvederm refills these areas, leaving your skin looking plump, healthy, and youthful. The process is simple. A small amount of dermal filler is injected into the desired area. Then, we shape the filler to recreate a youthful appearance and erase fine lines and wrinkles. Depending on the individual, retreatment for Juvederm is recommend two to four times each year. 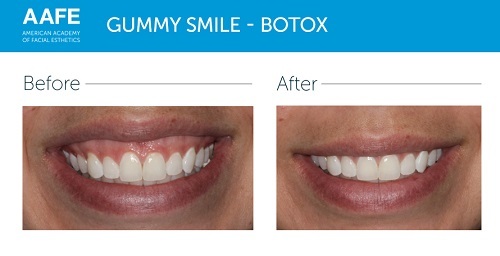 Botox Cosmetic injections and Juvederm treatments can be performed regularly to prevent and reduce the signs of aging, and we can often incorporate these services into your existing dental checkups, saving you time. Because Dr. Cory Rush has advanced training in the inner-workings of the oral and facial structures, we can safely administer these cosmetic services. Many other Botox and Juvederm providers are simply trained in these procedures and may not necessarily have the same level of expertise. Working with a skilled dentist for these services means you’ll have the backing of years of advanced training and experience behind your Botox and Juvederm treatments, ensuring flawless results with minimized risk. Dr. Cory Rush has completed doctoral work in dentistry, meaning he has a complete knowledge of oral and facial structure and function. Additionally, Dr. Cory completed his advanced training in the administration of Botox Cosmetic and Juvederm dermal fillers. You can rest assured that these services will be performed with the utmost skill in our dental office.